A pair of Maine Central GP38s await their next job outside the office building at Rigby Yard in South Portland. 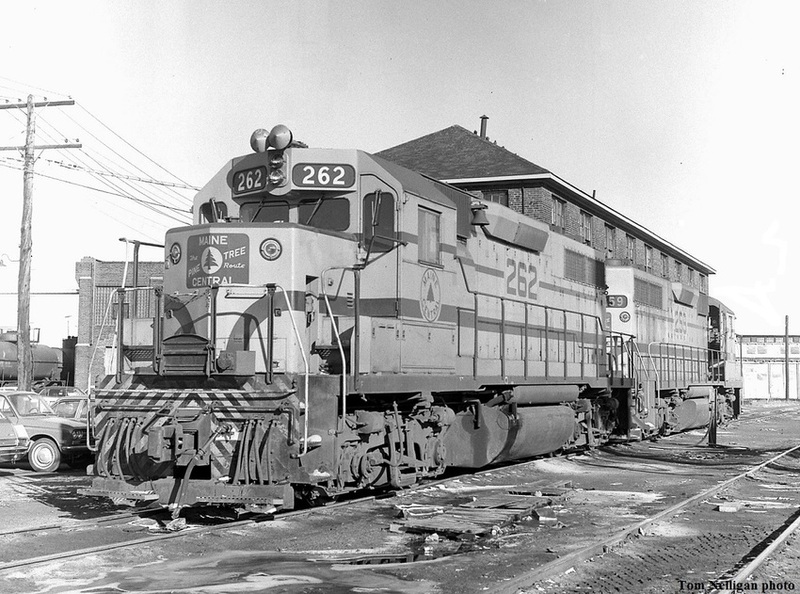 These locomotives meant the end for MEC's fleet of F-units when they arrived in 1966. They looked good, even in B&W!